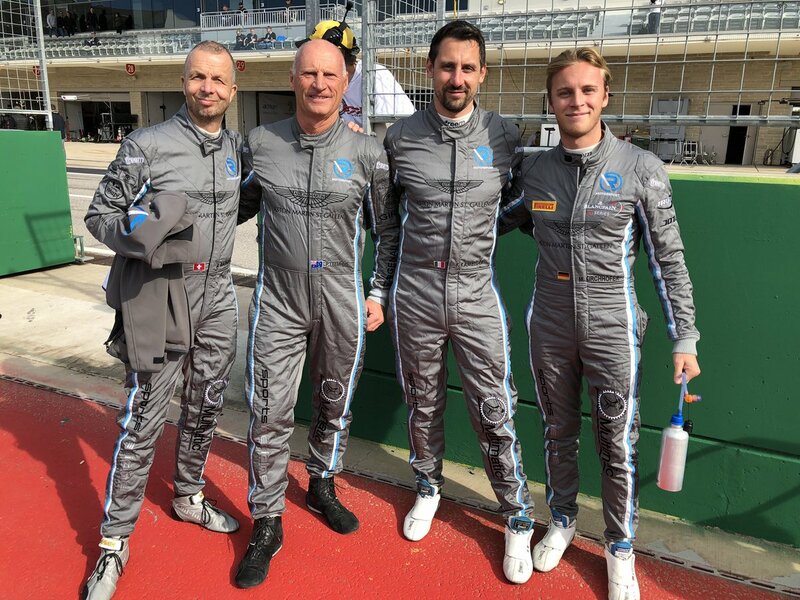 After the joy of claiming the overall pole position for Creventic's annual visit to the Circuit of the America's as the final round of the 2018 24H Series, came the hard work for Swiss based R-Motorsport as they embarked on their first twenty four hour race aboard one of their V12 Vantage GT3's. Leading the way for the R-Motorsport team would be their Pro driver Marvin Kirchhofer who would for a time maintain the overall race lead in his Pro-Am class car that he would share with Andreas Baenziger, Florian Kamelger and Peter Leemhuis ahead of both Pro class Black Falcon Mercedes AMG's in close formation behind. As with any multi-class racing with both professional and amateur drivers, the swing of the pendulum sees the position of any particular car sway in direct relationship with whose in not that car but those around them and by the endow the first quarter of the race the #620 was confidently holding station P5 in class - P11 overall. 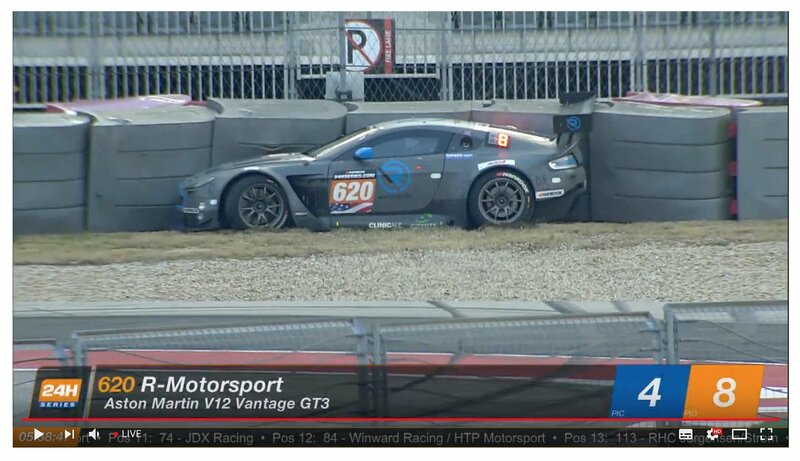 The first real time lost was when Leemhuis spun off - first beaching himself in the gravel trap before another 45 minutes of repair were needed which was a shame the team as they had been running so well up till then. 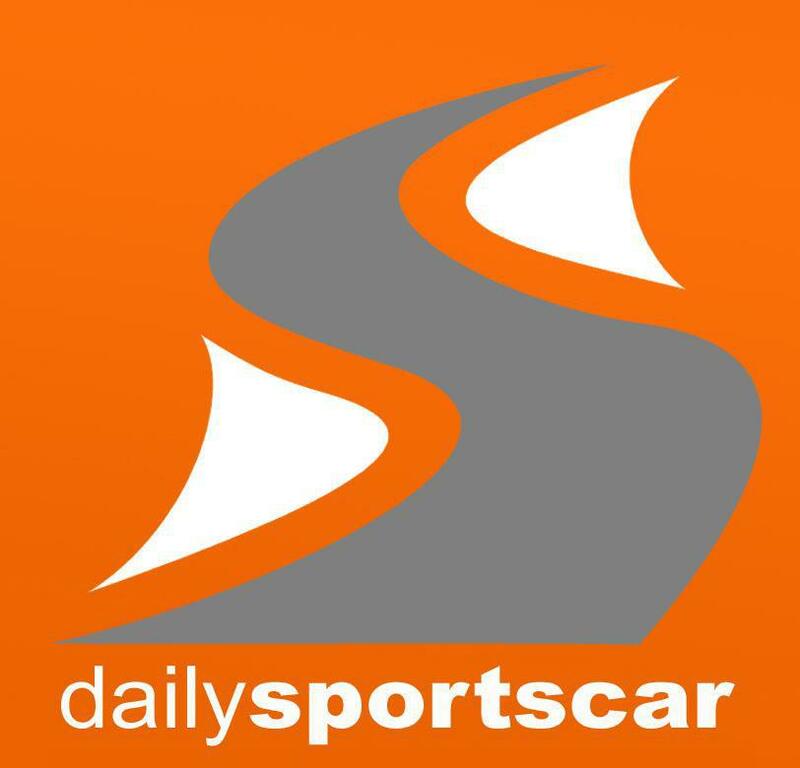 That was later compounded by the serving of time penalties for repeated exceeding track limits - an infringement that they were certainly not alone in breaking! As with most races in the 24H Series calendar came the enforced overnight break for the teams, drivers and circuit workers with the cars stored under Parc Ferme conditions (unless the teams wanted to serve a penalty for doing so) overnight. 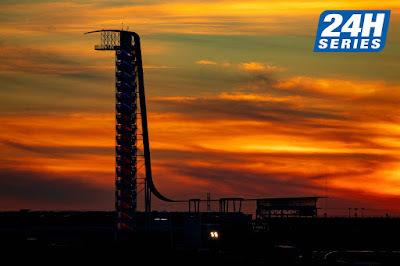 With the change of day came a change in the weather with the warm and dry track conditions of Saturday being replaced with a colder and wet track of Sunday morning. Fortunately for all, the track soon began to dry letting all get back to racing on slicks and by the sun was at its highest allowed Kirchhofer to get back in and set the then fastest lap of the race with a 2:07:822 - but he would go on and beat that time again later in the race. 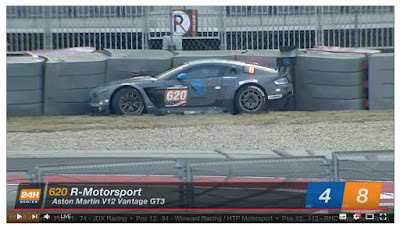 More incident for the #620 was to follow with the team needing to replace the windscreen of the car - probably in a time not normally recommend to you by your local windscreen replacement companies but at least gave gentleman driver Leemhuis to availability to comment that these V12 Vantages were built like the proverbial brick built outbuilding of old! 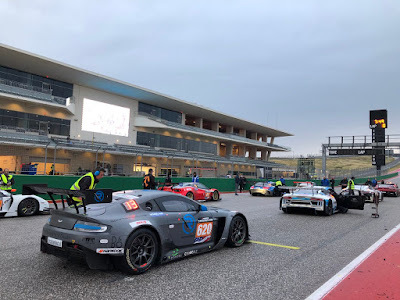 As the race came to its natural conclusion, the #620 R-Motorpsort car would eventually finish the race P14 overall and P4 in class but some 50 laps down to the car in front on the final step of the Pro-Am podium. Team bosses Florian Kamelger and Andreas Baenziger clearly had fun again in what was only the teams second 24H Series event of the year. 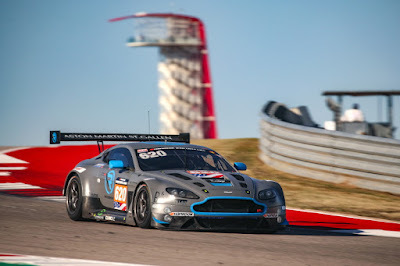 When pressed about the likelihood of any full season return in 2019, Baenziger was at pains to point out the impending busy schedule that they would be placing upon themselves in not only the Blancpain GT Series with the all new V8 Vantage GT3 but also with their recently announced DTM commitment. 2019 for R-Motorsport is going to be something special!